Volcanic substrate composed of a mixture of volcanic materials (pumices and lapillus of which approx. 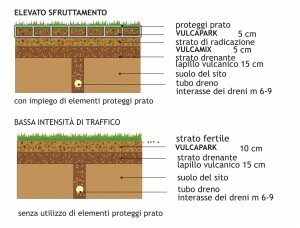 20% sand of volcanic lapillus and 65% of pumice sand), organic substances (like blond peat of medium grain size) and/or organic substances with humus (like vegetable compost material) and complex fertilizers with nitrogen in form of controlled transfer. 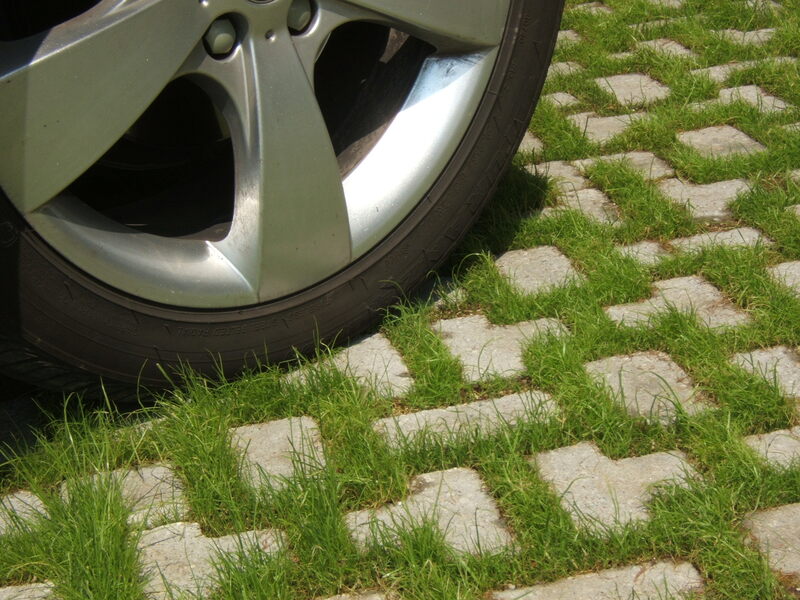 Vulcapark, is a convenience product, of easy application, free of dangerous toxic substances and infecting seeds; it is an ideal substrate allowing a convenient and functional construction of meadows used for car parking areas. 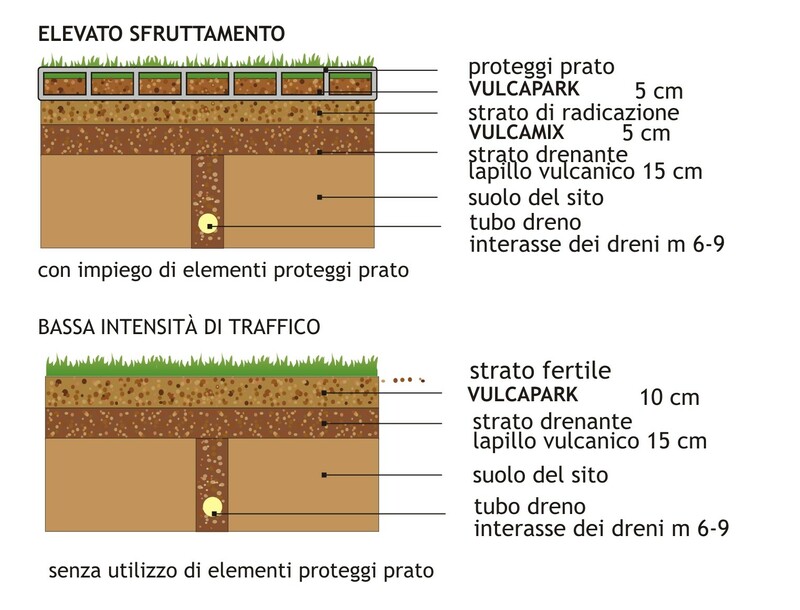 Vulcapark, fertile substrate for roots, seed coverage and obstruction of plastic and cement cells, is perfect for treaded on meadows provided with draining, water retention and fertility for both, highly stressed (with protective elements) and for those at low intensity, i.e. at low traffic (without protective elements).